Which Nepali Hero matches your thinking capacity? We all have our capacity and limitations. Some people have too much talency but could not rise due to problems like platform and internal problems. 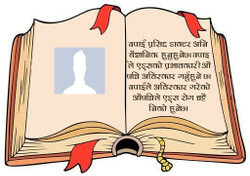 In this application we calculate your thinking capacity and match with the Nepali Heroes of Nepal. How many are proposing you?